Interview with Wendy Kennah, project management recruiter about the job market perspectives. As the financial crisis and recession fade, it is time to take a fresh look at the job market for project managers. Year after year, we continue to see robust increases in both demand and supply for project managers. Consider the following statistics. The above data suggests that the field is continuing to grow and remains highly valued by employers. However, what do these statistics mean for the individual who is seeking a new opportunity? That’s where the perspective of an experienced recruitment professional can make a difference. I interviewed Wendy Kennah, an experienced recruitment professional based in Toronto, to get her perspective in on IT-focused project managers. Read the interview for her perspective. 1) HOW DID YOU GET INTO THE RECRUITMENT INDUSTRY? I started in the field in the 1990s after graduating from university prior to Y2K: it was my first industry after graduation. Since 2000, I have been in a management role within the industry and at Procom for the past 6 years. My current role is Director of Recruiting. 2) WHAT NEW DEMANDS ARE YOU SEEING FOR CLIENTS SEEKING IT PROJECT MANAGERS? In the last 12 months, we have had over 1500 project manager roles in various industries. The overall IT market is hot right now! Of the roles our organization has worked on, approximately two thirds of roles are the traditional application/infrastructure oriented roles. There is also a focus is on strong methodology skills such as SDLC or Agile. The remaining roles are business project managers that have less of a technical focus. Business project managers are expected to have very strong stakeholder management skills, change management and corporate governance skills. 3) WHAT INDUSTRIES ARE SEEING THE GREATEST DEMAND FOR PROJECT MANAGERS RIGHT NOW? Overall, 2014 was the busiest year in our firm’s history! In the financial industry, we are seeing demand for project managers to work on net new projects and regulatory projects. The demand remains strong within the financial sector and we believe that this will continue into 2015. In Ontario, hiring was slowed for all roles including those of project managers within provincial government due to this year’s election in June. We have started to see new initiatives since the Election and expect to see more new projects and opportunities in 2015. Many other sectors including the Telecommunication sector have seen growth in Project Management roles throughout 2014 and we have seen no evidence that this will decrease in 2015. 4) WHAT TRENDS ARE YOU SEEING IN TERMS OF PERMANENT FULL TIME ROLES VS CONTRACT ROLES? Generally, our firm focuses on contract roles however, there is a need for both fulltime permanent and contract Project Managers. The desire for permanent or contract varies based on the firm and the project related skills needed. Contract Project Managers provides organizations the flexibility to add and remove desired skills to their resource team based on their forecasted projects. Hiring permanent fulltime is a desired state for many organizations if they see many projects on the horizon as there is a consistency to maintaining the same project teams within the company. The last financial downturn still plays into the hiring decision between hiring permanent fulltime or contract in many organizations as contract does allow for fluidity of the resource pool. 5) WHAT TECHNICAL SKILLS AND KNOWLEDGE IS IN DEMAND IN THE MARKET TODAY? In the start-up sector, I am seeing increased demand for professionals who understand frontend and backend technology – i.e. full stack development. More broadly, there is increased interest in people who bring a computer science background: University of Waterloo computer science graduates continues to be well respected in the market. Toronto is also perceived as a more affordable location for technology talent. For example, I have seen a role that would have paid $300,000 in Silicon Valley come out to $180,000 in Toronto. Relatively speaking, Toronto remains affordable compared to some other locations for organizations and the competition for the same talent may not be as fierce. In terms of specific technologies, many organizations continue to emphasize Java and Microsoft’s .NET. There are always niche technologies that accompany certain types of projects and they will heighten the demand for that skillset such Ruby on Rails. 6) WHAT IS THE ROLE AND SIGNIFICANCE OF LEADERSHIP AND INTERPERSONAL SKILLS FOR PROJECT MANAGERS? Leadership skills are extremely important on large projects. In fact, successful delivery in large projects requires strong leadership skills. More generally, it is important to adapt to the team that is already in place on an existing project or assembled for a particular project. For example, many developers vary in terms of their English language proficiency. Good interpersonal skills are paramount in overcoming those differences and achieving high performance. 7) HOW CAN PROJECT MANAGERS WORK MORE EFFECTIVELY WITH RECRUITERS? A good project manager candidate has to be willing to adapt and respond to feedback from the recruiter. For example, employers will ask for candidates with specific technology experience (i.e. Microsoft Project or Java) or scope of project in terms of resources or dollars (i.e. project teams of 10 or more). If your resume does not show these details, your chances of being found by a recruiter are reduced considerably. If you receive feedback from a recruiter to make updates to your resume, it is intended to increase your chances of being interviewed or hired. As recruiters, we have the same goal as the job seeker, which is to get you happily employed in a role that matches your skillset. 8) WHAT ROLE DOES TRAINING AND EDUCATION PLAY FOR PROJECT MANAGERS TODAY? The Project Management Professional (PMP) certification continues to be the most important qualification. 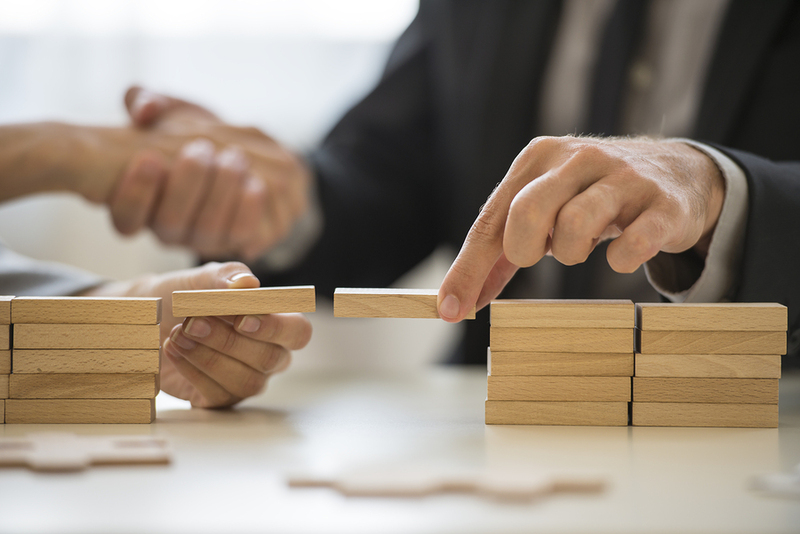 The PMP doesn’t necessarily mean that one Project Manager is better than another but it does ensure that everyone starts with the same level of understanding and vocabulary when on a project team. Specific and relevant industry experience is the most important but the PMP is requirement for many organizations to decrease the ramp up time when entering a new project. 9) IF READERS ARE INTERESTED IN WORKING WITH PROCOM, WHAT’S THE BEST WAY FOR THEM TO DO THAT? Our current postings are all listed on procom.ca or they can call Procom and ask to speak to a Technical Recruiter. Candidates are welcome to apply to a specific posting on our website and their resume is directed automatically to the appropriate recruiter. Bio. Bruce Harpham is the author and editor of ProjectManagementHacks.com, a resource for growing IT project managers. Did you know that your project sponsor makes or breaks your success? Build an effective relationship with your project sponsor with ProjectManagementHacks’s new report.